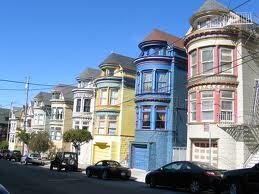 Dataquick: Bay Area Home Sales Continue to Rise. Condo Sales Jump. La Jolla, CA.---- March home sales in the Bay Area were at their highest level for that month in five years, the result of lower prices, low interest rates and an improving economy. Prices appeared to be leveling off across more of the region and may be poised to start inching back up in the stronger submarkets, a real estate information service reported. Last month 7,694 new and resale houses and condos sold in the nine-county Bay Area, up 34.9 percent from 5,702 in February, and up 9.1 percent from 7,051 in March 2011, according to San Diego-based DataQuick. The February to March sales jump is normal for the season. Last month’s sales count was the highest for the month of March since 8,317 homes were sold in 2007. Since 1988, March sales have ranged from 4,898 in 2008 to 12,645 in 2004. The average is 8,812. “This is the time of year when buying patterns usually start to normalize. And while the changes we’re seeing are incremental, they’re incremental in a positive direction. That said, there’s a long way to go. Two of the big issues to watch closely are how fast distressed properties are being put on the market, and the availability of, or lack of availability of, mortgage financing,” said John Walsh, DataQuick president. The median price paid for all new and resale houses and condos sold in the Bay Area last month was $358,000. That was up 10.2 percent from $325,000 in February, and down 0.6 percent from $360,000 in March 2011. The median has declined on a year over year basis every month since October 2010, although last month’s decline was the smallest. The low point of the current real estate cycle was $290,000 in March 2009. The peak was $665,000 in June/July 2007. Around half of the median’s peak-to-trough drop was the result of a decline in home values, while the other half reflected a shift in the sales mix. The Bay Area saw a total of 1,734 condo resales last month, the most for any month since August 2006, when 1,783 were sold. The median price paid for resale condos was $276,000, up 10.4 percent from $250,000 a year ago. The resale condo median had declined on a year-over-year basis in 16 of the prior 17 months. Last month distressed property sales – the combination of foreclosure resales and “short sales” – made up 44.3 percent of the resale market. That was down from 48.8 percent in February and 48.2 percent in March a year ago. Foreclosure resales – homes that had been foreclosed on in the prior 12 months – accounted for 24.9 percent of resales in March, the lowest since 23.2 percent in March 2008. Last month's figure was down from a revised 26.4 percent in February, and down from 31.5 percent a year ago. Foreclosure resales peaked at 52.0 percent in February 2009. The monthly average for foreclosure resales over the past 17 years is about 10 percent. Short sales – transactions where the sale price fell short of what was owed on the property – made up an estimated 19.4 percent of Bay Area resales last month. That was down from an estimated 22.4 percent in February and up from 16.7 percent a year earlier. Last month 32.2 percent of Bay Area sales were for $500,000 or more, up from a revised 29.4 percent in February, and down from 34.7 percent in March 2011. The low for the current cycle was January 2009, when just 22.7 percent of sales crossed the $500,000 threshold. Over the past 10 years, a monthly average of 47.7 percent of homes sold for $500,000-plus. Government-insured FHA home purchase loans, a popular choice among first-time buyers, accounted for 22.6 percent of all Bay Area home purchase mortgages in March, down from 22.9 percent in February and 28.5 percent a year earlier. One indicator of mortgage availability that had seen improvement last year was low again in March, when 11.5 percent of the Bay Area’s home purchase loans were adjustable-rate mortgages (ARMs). That was down from a revised 12.1 percent in February, and down from 13.7 percent in March last year. Since 2000, ARMs have accounted for 50.3 percent of all purchase loans. ARMs hit a low of 3.0 percent of loans in January 2009. Jumbo loans, mortgages above the old conforming limit of $417,000, accounted for 30.5 percent of last month’s purchase lending, up from a revised 27.2 percent in February, and down from 30.7 percent a year ago. Jumbo usage dropped to as low as 17.1 percent in January 2009. Before the credit crunch struck in August 2007, jumbos accounted for nearly 60 percent of the Bay Area purchase loan market. Last month absentee buyers – mostly investors – purchased 24.2 percent of all Bay Area homes sold, down from a revised 25.6 percent in February (the record since 2000) and up from 22.0 percent a year ago. Absentee buyers paid a median $246,500 in March, up from $240,500 in February and $234,500 a year ago. Buyers who appear to have paid all cash – meaning there was no evidence of a corresponding purchase loan in the public record – accounted for 29.4 percent of sales in March. That was down from a record 31.5 percent in February, and up from 28.1 percent a year ago. The monthly average for cash purchases going back to 1988 is 12.3 percent of all sales. Cash buyers paid a median $240,000 in March, down from $242,000 in February and up from $235,000 a year earlier. San Diego-based DataQuick monitors real estate activity nationwide and provides information to consumers, educational institutions, public agencies, lending institutions, title companies and industry analysts. Because of late data availability, sales were estimated in Alameda and San Mateo counties. The typical monthly mortgage payment that Bay Area buyers committed themselves to paying last month was $1,359, up from $1,225 in February, and down from $1,518 a year ago. Adjusted for inflation, last month’s payment was 51.4 percent below the typical payment in spring 1989, the peak of the prior real estate cycle. It was 64.1 percent below the current cycle's peak in July 2007. Indicators of market distress continue to move in different directions. Foreclosure activity remains high by historical standards but below peak levels. Financing with multiple mortgages is low, down payment sizes are stable, DataQuick reported. All Homes #Sold #Sold Pct. $Median Median Pct.